Today we’re working on murder! Yes, it’s a lovely staple of Victorian gothic horror, particularly the madness of contemplating and planning the act, the dread of the murderer, and the horror of the crime after the fact. 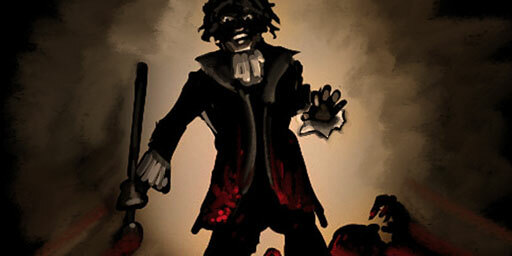 It’s all very appropriate for the setting of Clockwork Empires, so of course we shall embrace the act of murder with all the Victorian sensibility we can muster (and sneak in a lovecraftian twist whenever possible). Well, this is most awkward, isn’t it? The problem with murder, however, is that you can’t just have people going around murdering one another. It’s simply not interesting because you’re removing the interesting moving pieces of the game. Murderers need a motive. It’s best if these tie into core gameplay mechanics that players interact with because there’s not much point if a colonist shows up looking for blood just because. We’re making a game here, the question is always “what’s the player gonna do about it?”. So the motivation for murder has to be in response to problems players can solve – or keep from happening. I won’t list every possible motive, but one of the most direct is hunger: a colonist gets to the point of starving where it’s either they die or they kill. The character of a colonist will generally determine which way they’ll go. It’s up to the player, of course, to keep people well fed enough that it never comes to this. As said, there are more ways for this to happen but we’ll let you find those out for yourself. Wait … no, one more. Before today, the ‘vanilla’ murder sequence was a bit of a Tornado Problem in that it’d come from the sky with no warning. Well, little warning. It required a colonist that’s angry and maddened and made a really (un? )lucky roll. So Chris is fixing this up for us! The conditions for murder will now instead trigger a “contemplate murder” job which will make a murderous thought-bubble appear. If this builds up enough, if in-fiction the murderer comes up with their plan or psyches themselves up enough, then they can begin murdering. So instead of a tornado, you can spot a murderer coming from a ways away and try to deal with the root problems causing them to be upset enough to contemplate murder. Or not; whatever. Technical aside: It can get fairly involved to sort out murderer from victim from witness. You have to give each party an appropriate memory and appropriate tag. If a murderer is witnessed, they get automatic Frontier Justice. If not … more on that in a bit. A conversation this morning prompted a solution to a hitch I was having in pushing memories to the bystanders who witness murder. So: we ping out a “murder witnessed” event to all characters in a radius upon death. If a character is neither the murderer or murderee, then they’re a witness. Easy! They can report the murder and be appropriately upset. Wait, but what about the attack in the first place? It’s not like everything should be dandy up ’til the killing bow. Okay, new plan: spit out a “witness” ping when one colonist attacks another, do the same check. If the attack is witnessed, then create an alert, create one of those invisible alarm beacons that soldiers will automatically rally toward. So what if there is no witness? It seems like a cool idea at first to hide the fact of a murder taking place from the player, or at least attempting it. Yes, we discussed the spirited effort that Dwarf Fortress makes at hiding mysterious deaths. This can get extremely complicated, particularly when it asks the UI to lie to the player and for game systems to track a different assumed state of affairs from the actual state of affairs — take, for example, an overseer’s workcrew. Were you to assign an overseer who is missing (and certainly murdered) to a new workshop, there would have to be a secondary path to assign proper jobs to all the labourers and … no, this is Bruising The Fat. When discussing the cost of a feature, however cool, we must ask “Is this what Clockwork Empires is about?”. 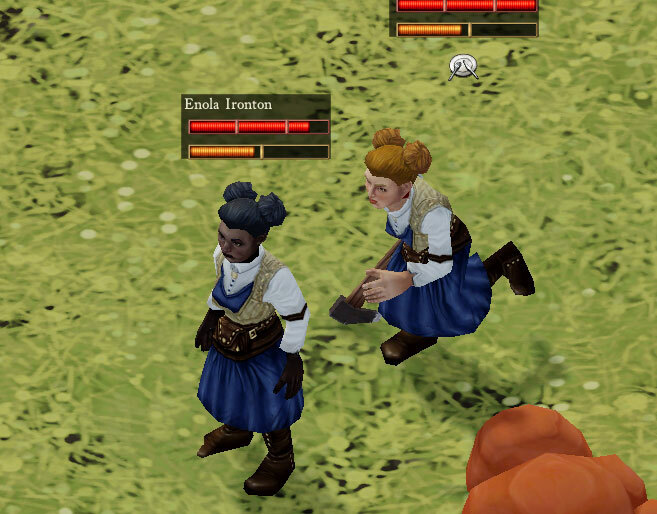 Is Clockwork Empires a murder mystery game? It isn’t! We can’t hide murders from the player. We can, however, hide the fact of the murder from the in-game authorities. 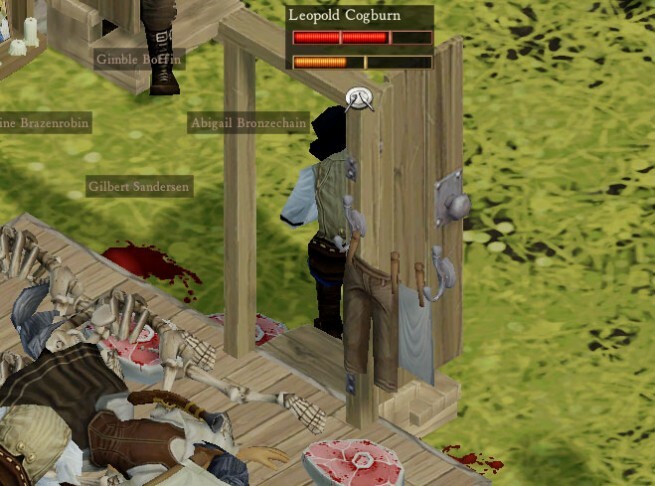 And maybe you know that this colonist is the murderer, but there were no witnesses so you can’t pin the crime on them. If you order Frontier Justice, it’ll look arbitrary and tyrannical. What do you do? It wouldn’t be gothic horror without them. 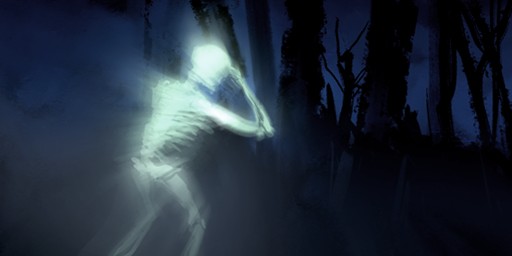 We won’t get too far into details here, but a murder victim may haunt their murderer (and anyone else nearby) from beyond the grave. You did bury them, right? No? Oh boy. The conditions for murder will now instead trigger a “contemplate murder” job which will make a murderous thought-bubble appear. Well, two thoughts here: Contemplating Murder will happen a bunch of times before it’s actually acted upon so there’ll be many chances to spot it, and we’ll absolutely add higher levels of notification if that turns out to not be enough to warn a player. There are lots of options here! So how is the murder solved. I would think that you should get a message right away that ‘so and so was murdered’ but that the murderer is unknown unless you were watching it unfold. Even without evidence you could be bribing authorities to investigate the right (or even wrong?) person. Which leads me to wonder, if someone gets away with murder, are they more likely to murder again? Wootah: Given the murder system as outlined here, it seems like what would happen should a murder occur is that the murderer will have whatever drove them to murder satiated in the short term, but if the problem is systemic (so if they’re hungry because there simply isn’t enough food, and the person they killed was a farmer…) then the condition will arise again, at which point…we don’t know. It seems somewhat “right” that someone who has murdered once is more willing to murder a second time, but it may be that someone who was in a position to murder once is already more likely to murder again simply because their position hasn’t changed any. Ooh, that makes me think if a colonist murders another for reasons they consider ‘just’ (IE, in-line with the rest of the colony’s opinion or not, such as if the victim was a complete jerk) then pardoning or executing them could have different effects on the colony’s morale as well. I wonder what the priority of “Want to murder” is in the job/thought queue. I really hope that contemplating murder will have an animation with it, hunching while rubbing their hands together, maybe chuckling a bit. Even while performing other actions.